Madam Thoi's Restaurant is one of the famous sea food restaurants with popular price in Da Nang. Why Hai san ba Thoi - Madam Thoi's Seafood is special ? 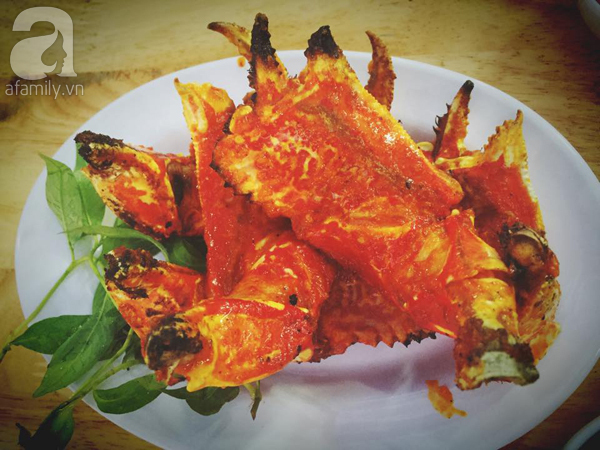 Da Nang is a beach city, hence, seafood here is extremely fresh and delicious. You shouldn’t skip Da Nang seafood when visiting this beautiful city. Hai san ba Thoi is a good place to enjoy Da Nang seafood with local price. There are many dishes including flower crab stir-fried with tamarind, seafood hot pot, boiled clams, grilled shrimp. It possesses a rather small space. However, good service and delicious food is something to make you feel satisfied. It's mainly for the local people, but this makes the atmosphere. Just ate here 2 hrs ago. Ordered steamed clams, steamed crabs, grilled squids, fried prawns with garlic. Steamed clams with Vietnamese basil, sawtooth herb, and lemon grass, extremely fresh clams steamed just right, tender and taste, with the herbs pairing well, not over powering yet light. Steamed crab, done just right, very sweet, not like just live crab I had with meat stuck to the shell, or watering away. I think the trick is to use freshly caught crab, controlling the exact time required to cook the crab. Prawns are done just right, sweet with a hint of garlic. The grilled squid was the highlight of the meal, it is really very tender given it's grilled. Hint of smokiness with the sweetness of very fresh squid meat. Plus 2 Heinken, and a coke, 740,000 dong. Very cheap for where I come from. Simple cooking at it's best. Paid 800,000 dong to get here from Intercontinetal, their transportation charges are ridiculous. Well done Ba Thoi, but improve on your English menu, I would have ordered the lobsters if you put it on the English menu. Went searching for this place on recommendation by my hotel's staff. Was told that it's a seafood place that the locals go to. It's along Le Dinh Duong road. Google maps do have the restaurant indicated on it. The menu is also in English although I suspect not every dish is on it as I saw the table next to me order a large juicy lobster. Prices are not stated on the menu. I suspect they could be on the board on one of the walls. The prawns are big and nice - comes in a plate of about 5-6. The steamed squid was good but I suspect that the grilled version would be better. I love the grilled crab - smelled and taste great. But it does come with bits of ash. The fish congee wasn't that good. Together with drinks, my bill came up to be slightly over 400000VND. During my visit, a woman brought a plate of steamed peanuts to our table. We thought it was part of Ba Thoi but it turned out not to be. So if you do not want to pay for peanuts, reject them when it is placed on your table. Gets my 5 stars vote as I think it is a better alternative for good seafood to the much pricier seafood restaurants along the beach. It was a Saturday afternoon and my clients wanted to have beer and bites, so we decided to check out the Ba thoi restaurant. It seems the restaurant has been in operations for about a decade. We happen to meet the owner's son Mr. Ly , a jovial gentlemen who sat with us and spoke of stories about the guests and his experiences. 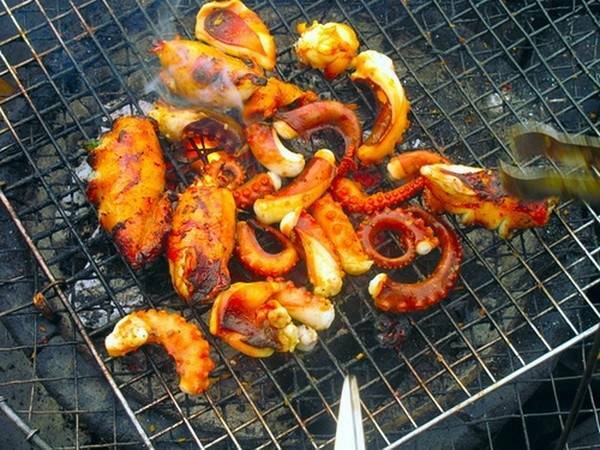 It was a cool afternoon, with cold beers and lovely grilled squids which were really fresh, tender. We decided that we will do the beers and squids again at Ba thoi in the near future.